Mt. 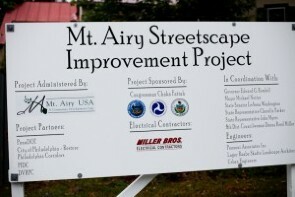 Airy Streetscape sign shows plans for improvement. Originally published on 9-29-2010 by Philadelphia Neighborhoods, an online publication of the Temple University Multimedia Urban Reporting Lab.